As the hours tick down to the Organization of the Petroleum Exporting Countries (OPEC) summit in Vienna on December 6, the cartel's call for unity in agreeing to a production cut is being undermined by growing discord, not just with the usual fire and brimstone rhetoric from Iran, but word that Qatar is leaving the organization, with Iraq possible breaking rank too. The United Arab Emirates on Tuesday echoed the position taken earlier by Saudi Arabia in stating that all producers must be on board for an adjustment to production to go ahead: Suhail bin Mohammed al-Mazroui, that country's energy minister, told media, "What is that adjustment, and what is the level, from what level - that is what will be discussed....an adjustment means a decrease in production ... It's important that everyone is on board." But in a week where analytical thought is leaning towards a cutback deal either not being made or being made but not big enough, any call for unity is being drowned by dissident voices, the loudest coming from Iran: Hassan Rouhani, president of the Islamic republic, said on Tuesday in a speech broadcast live on state TV that the U.S. should know that if Iran can not export oil then no country will export oil from the Gulf. More disturbing is news that alliance with OPEC isn't the be-all end-all for some members: Saad Sherida Al-Kaabi, minister of state for energy affairs for Qatar, announced that his country will leave the cartel on January 1 after nearly 60 years, "to focus its efforts on plans to develop and increase its natural gas production." Although Qatar is a marginal player in OPEC, news of its leave taking came as a surprise to pundits, and Jason Tuvey, senior emerging markets economist at Capital Economics, mused that "More than anything, we suspect that Qatar's withdrawal from OPEC has been spurred by its ongoing dispute with Saudi Arabia and its allies." 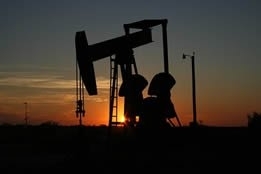 Ellen Wald, senior fellow at the Atlantic Council's Global Energy Center, told media that "It could signal that smaller producers are growing disgruntled with the cartel's dominance by Saudi Arabia and Russia; if a group of small producers decide to exit the cartel, it will decrease OPEC's influence in the market." But quitting OPEC may not be confined to smaller players: Michael Cohen, head of energy markets research at Barclays, told CNBC that "Iraq has been out of line with its target frequently... so if restrictions to cut were too stringent, Iraq might feel it in its best interest to no longer be a member of the organization." CNBC noted that Iraq "was pumping a record 4.76 million barrels per day (bpd) in October, according to its former oil minister; its increased production, as well as multi-year output highs from Libya, contributed to 2018 peaks in global production this fall." All but vanished now as the Vienna summit looms is the optimism displayed by the analytical and crude producer communities with regards to the likelihood of OPEC achieving a production cut: typical was the comment made by Eldar Saetre, chief executive of oil and gas producer Equinor, who told reporters, "They will cut something that will have an impact on the market."